Charenee Wade is not one to hold back or let fear stand in her way. The first artist ever to enter two Thelonious Monk Vocal competitions, she walked away from the second one in 2010 with instant buzz and second place to her new friend Cecilé McLorin Salvant. Now is the time for Wade’s star to rise. Known for expert vocal improvisational ability and her seriously swinging groove, Wade evokes a classic jazz sound akin to Betty Carter and Sarah Vaughan, two of her musical touchstones. With her Motéma debut, Offering: The Music of Gil Scott-Heron and Brian Jackson (June 23), she pays tribute to another inspiration, the socially conscious poet and musician Gil Scott-Heron, and confirms that she too plans to use her artist platform thoughtfully. The first full-length album tribute to Scott-Heron and his musical collaborator Brian Jackson by a woman artist, Offering is arresting in just how timely Scott-Heron’s messages are today and how perfectly Wade delivers them through her savvy arrangements and intimate jazz interpretations. 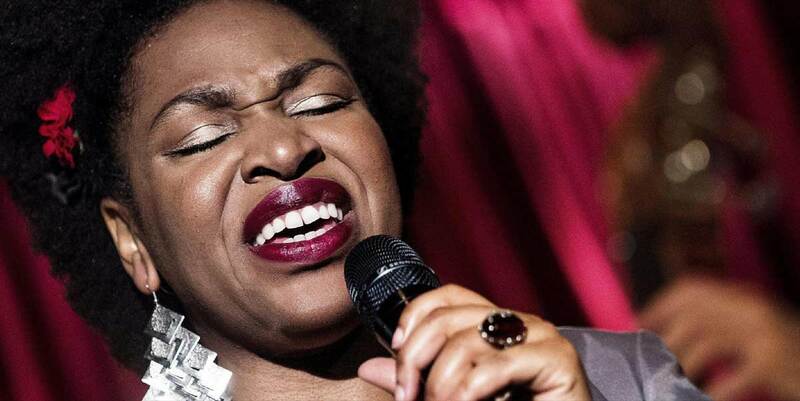 While she has earned many accolades – first runner-up in New York’s Jazzmobile Vocal competition; a participant in Betty Carter’s Jazz Ahead program; a feature on NPR’s Song Travels; a starring role in the off-Broadway show Café Society and in Jazz at Lincoln Center’s Salute to Betty Carter – she may surprise people with this authentic tour de force.